Business is risky, and the owner gets the worst of it, dealing with difficult situations day to day, and trying to solve problems that could cause the business to fail if not dealt with expertly. 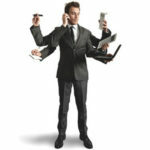 Managed IT is an affordable solution to help prevent the kind of problems that could put you out of business. Our clients are good at managing risk. They’ve taken it on by opening a business, and they understand that negligence in any aspect of their company can mean curtains. We like to think that’s why they choose us; we work hard to improve their operation with the right technology and we have the solutions they need to protect their data if their network gets compromised. 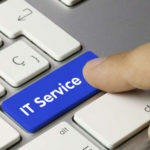 Managed IT services, also known as outsourced IT support, isn’t new, but often small business owners don’t consider it. They should. You’ve read that cybercrime is way up; businesses get hacked every day for financial information and Personally Identifiable Information (PII). You absolutely need to have a cyber security plan for your business, as well as a continuity plan if you do get hacked. We stop problems before they happen. With our remote monitoring and management tools, we are able to proactively monitor and maintain your business network, along with every piece of hardware attached to it. Simple issues like failing hard drives won’t become problems. Maintaining functioning technology and preventing downtime can make the difference between breaking even and making a profit. Every small business needs to understand what they are up against. It’s not pretty. With malware spreading like wildfire, businesses have to have a strong threat management platform in place. A strong multi-layered approach with an enterprise-level firewall, spam protection, content filtering, and VPN access can go a long way toward keeping out hackers. 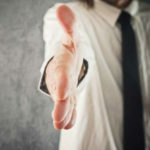 A data breach, a fire, or even employee error: if you lose data and don’t have a reliable backup solution in place, your business is up a creek. You have to have a backup solution. Our backup solution backs up your data both onsite and remotely. Using cloud computing to protect your business’s digital assets, you have the peace of mind of knowing that if something happens to your data, it can be easily restored with limited downtime. Our certified and knowledgeable techs can help you build efficiency and mitigate risk for an affordable monthly flat rate. 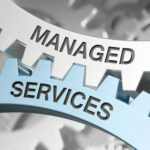 For more information about Quikteks’s managed IT services, call us today at (973) 882-4644. We can help.